The Destination: Chicago mobile van has partnered with Chicago Public Libraries to continue offering free programs this month! 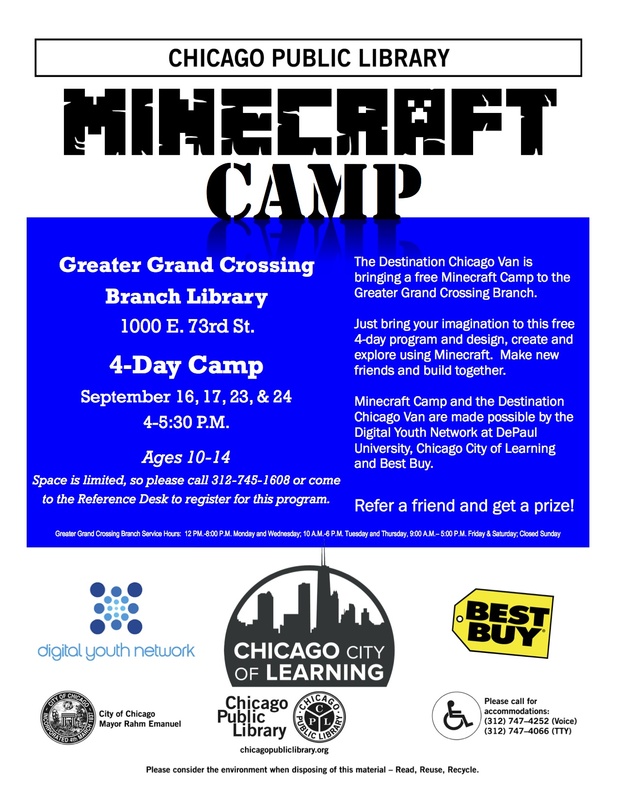 A free Minecraft Camp is being held at the Greater Grand Crossing Library September 16, 17, 23, and 24 from 4:00-5:30 P.M. for youths ages 10-14. Space is limited, so register ASAP! Call 312.745.1608 to register. Destination: Chicago, powered by the Digital Youth Network and Best Buy, launched the mobile van last July, offering pop-up digital hubs to under-resourced neighborhoods in Chicago.